Rhodes is fast tracking quality builds all over PNG, the Pacific and Australia with their technology driven prefabricated and modular building systems. Rhodes has proven its capabilities to the extractives industry having delivered accommodation and infrastructure projects for Rio Tinto, Ok Tedi and InterOil. The company also delivers considerable social infrastructure projects – schools, health clinics, court houses, government offices, training centres – on behalf of agencies such as the Australian Government’s DFAT and the Asian Development Bank. An innovative and customer focussed company, Rhodes fabricates building components and constructs simultaneously, saving their customers from 25 – 50 percent construction time which in turn reduces overall project costs. They refer to this as their ‘smarter, faster, better’ way to build. The company specialises in prefabricated and modular building systems, manufacturing their frames, roof trusses and other components on the factory floor and then assembling them on site. This mode of construction is particularly suited to PNG and remote or challenging location builds. Quality and compliance is easily and strictly controlled in factories, and if necessary, components can be manufactured around the clock. Moreover, there are no delays and therefore price blowouts due to bad weather or the unavailability of suitable labour. “We are a vertically integrated and technology driven company that invests heavily in R&D” says Andrew Avenell, co-founder of Rhodes. Rhodes is now relentlessly pursuing other markets and opportunities. Having successfully delivered numerous houses through international aid programs, Rhodes has expanded its housing portfolio to include property development, focussing on ‘green and sustainable housing estates’. It is also promoting its range of ‘affordable quality’ family homes to the broader PNG house buying market, with Avenell presenting on housing quality at the recent PNG Real Estate Show. 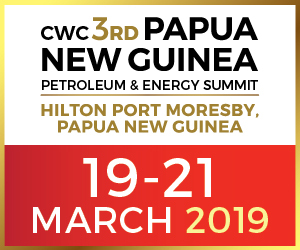 Of interest to extractives companies, Rhodes has added staff housing projects such as its Port Moresby Koki Estate for Nambawan Super, to its suite of product offerings. With an increasing number of companies following Oil Search’s lead and implementing home ownership schemes to attract and retain staff, Avenell sees value in pursuing business partnerships in this area. Rhodes offers a complete turn-key service as well as just design, manufacture and supply services. In line with the advice he’s been giving families looking to purchase quality and affordable houses, Avenell says extractives companies need to be aware of the growing number of non-compliant houses coming on to the market and the companies building them. 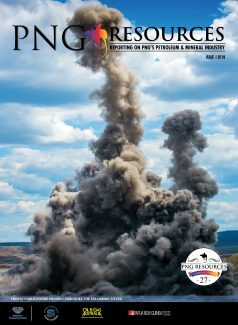 “No company that sets out to look after its staff by helping them purchase their own home wants to see their employees burdened with the stress and cost of a house that won’t last the lifetime of their mortgage.” Fortunately extractives companies can easily afford the due diligence checks that many PNG families cannot. For more information on building faster, smarter and better with Rhodes: PNG (+675) 7091 4457, Australia (+61) 3 8862 200, www.rhodesprojects.com. Tinto in Western Australia’s Pilbara.